I come from a family of ADHDers. Almost all of my siblings have come to realize that we have either ADHD or ADD to some extent. 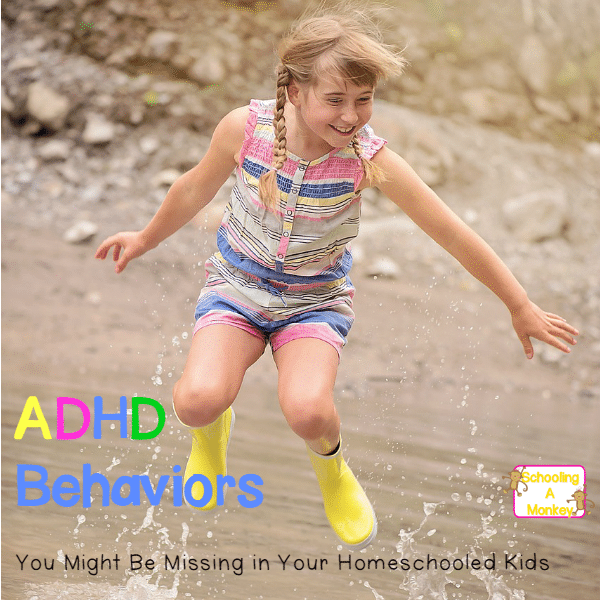 However, since most of us were homeschooled from the beginning, our ADHD behavior was never formally identified. Wow, we were so wrong. 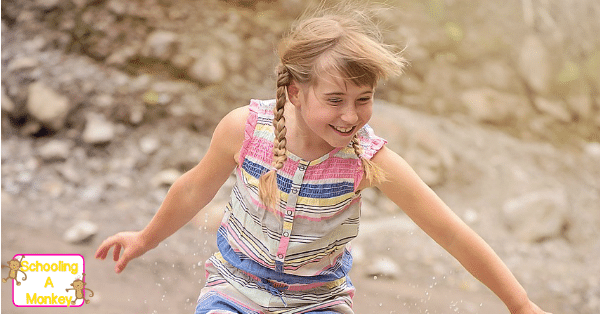 It turns out, ADHD is often undetected in girls. 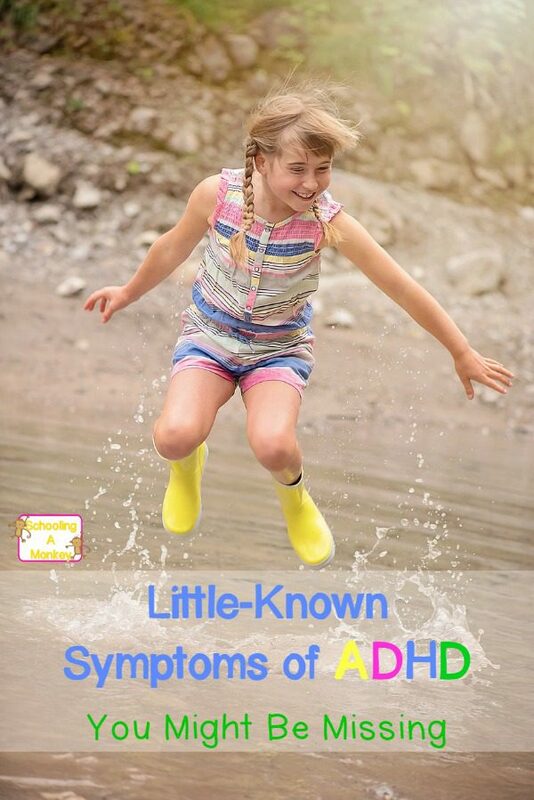 Previously, I wrote a list of symptoms of ADHD in girls, but today, I wanted to share some hidden ADHD behavior you might be missing in your daughters. This information comes from personal observations I’ve made watching my own family, so it might not be true for everyone. If you suspect any of your children might have ADHD, talk about it with a qualified mental healthcare professional. If your kids show the following symptoms, they just might be exhibiting classic ADHD behavior without you realizing it. You know these kids. These kids have what seems like the worst luck. They might just be doing what all the other kids are doing, but the adult in charge always catches them, or the thing always breaks when they use it, or something always goes wrong. I’m not sure why this typically happens to kids with ADHD, but it almost always seems to. My brothers were forever getting into trouble for doing exactly what all the other kids did. Monkey is the same way. She can be doing nothing different from other kids in a group, and yet, she is always called out for being the troublemaker. People with ADHD are the worst at telling a story. We often forget what we are trying to say mid-sentence, or think of something relevant that we forgot to say earlier, or completely lose track of an entire conversation string. One of my favorite aspects of ADHD behavior in conversation is how we’ll suddenly remember what we meant to say in an earlier conversation, but interrupt the current conversation to say it. First topic was worst weather encounters. The ADHD person starts telling her story, but probably can’t remember the details. The listener usually gives up listening (people can be rude). The conversation moves on to sports. The other people in the conversation are thinking, “What on earth does this have to do with sports?” But, the ADHD person is filling in details she forgot from the previous conversation. The funniest thing about this style of conversation is that in our family, it was totally normal. I come from a family with nine members. Probably seven of us (if not all nine) have ADHD. Our conversations growing up were chaotic, to say the least. We would usually have about five or six conversations going at a time, cutting in and out randomly between topics the entire time. Friends who would visit us would say they felt exhausted after visiting our house and trying to talk to us. One of the hidden signs of ADHD is hyperfocus. There have been several theories about how this can be a symptom of an attention disorder, but the theory that makes sense to me is that once you find something that does hold your attention, you just want to keep doing it. Feeling distracted all the time doesn’t really feel good for the person with ADHD either, so we like being able to focus “normally” on something, even though in the end, it’s not normal. I didn’t really think I had ADHD when I was a kid because I was able to sit and read books for several hours at a time. But put me in church, and I was the most fidgety, doodle-writing, whispering, and anxious child. Monkey isn’t a fiction reader, but she will play a video game for as long as we will let her. She actually has to be reminded to stop to eat. I come from a long line of fingernail biters. I constantly pick at my fingers and lips. One of my brothers always jiggled his legs constantly. Monkey will stand more often than sit. Bo, although not diagnosed officially, constantly chews on things. Even if your child doesn’t run all over the place, these small fidgety habits can be a sign of ADHD behavior. A hallmark of ADHD bahvior is the inability to wait (for the impulsive type. There are three official types). I think the reason we tend to interrupt is because once we get a thought, we have a hard time holding on to it. So, we blurt it out as soon as we think of it. If your kids are chronic interrupters (past the preschool years, especially), it just might be a hidden sign of ADHD. A classic sign of ADHD behavior is a chronically messy room. This isn’t the kind of “organized chaos” that many kids claim to have where they “know” where everything is. This is true disorder. The child can’t remember where anything is and usually spends a large portion of time searching for things in their messy room. The ADHD child will not remember to put her shoes away and will lay something down and never remember where she put it. Even after cleaning, she won’t remember where she stored something. Children with ADHD, both girls and boys alike, are more sensitive. My kids take this to such an extreme that I have to compliment both of them with the same compliments, or else they take it as an insult. Little things can be the end of the world, but exciting things can also be the end of the world and cause headaches, stomachaches, and panic attacks. I call this the “instant best friend” syndrome. Kids with ADHD typically try to race through the stages of friendship getting to “best friends” status as quickly as possible. This often makes other kids uncomfortable, so the ADHD kids is labeled “weird,” which makes it harder to make friends. Because of this, some older kids and adults with ADHD might take things to the other extreme and never make an effort to make new friends so they won’t be hurt by unrequited friendship. You might hear your child talk about the dozens of best friends that she has, or that she has no friends at all. Perfectionism can arrive in several forms and is a classic sign of ADHD behavior. The form I’ve seen the most often in kids with ADHD is the, “I need to be able to do this perfectly the very first time I try.” If the child with ADHD can’t do it right the first time (as is usually the case), she will get frustrated, upset, and usually not try again. This is why Monkey (and most of my family members) struggles so much with math. She wants to get it perfect the first time, but doesn’t like having to repeat something until she gets it right.